Check out our delicious prawn pasta recipes! 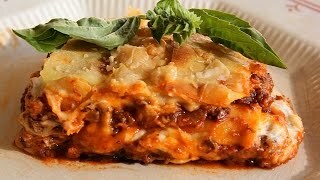 Check out our delicious lasagne recipes! Pasta...how do we love you? Let us count the ways. Almost 2000 recipes to choose from - luxurious lasagna and baked pasta to quick and easy Alfredo and pesto pastas. My family love this creamy bacon pasta and its a great quick meal. Serve with grated Parmesan and salad. Spaghetti carbonara is a simple but tasty meal that is as much at home as part of a weekly family meal as it is at a fancy dinner party. My Italian grandmother never put cream in her Carbonara sauce when she made it - she said it wasn't the way it was supposed to be made. This is the way.